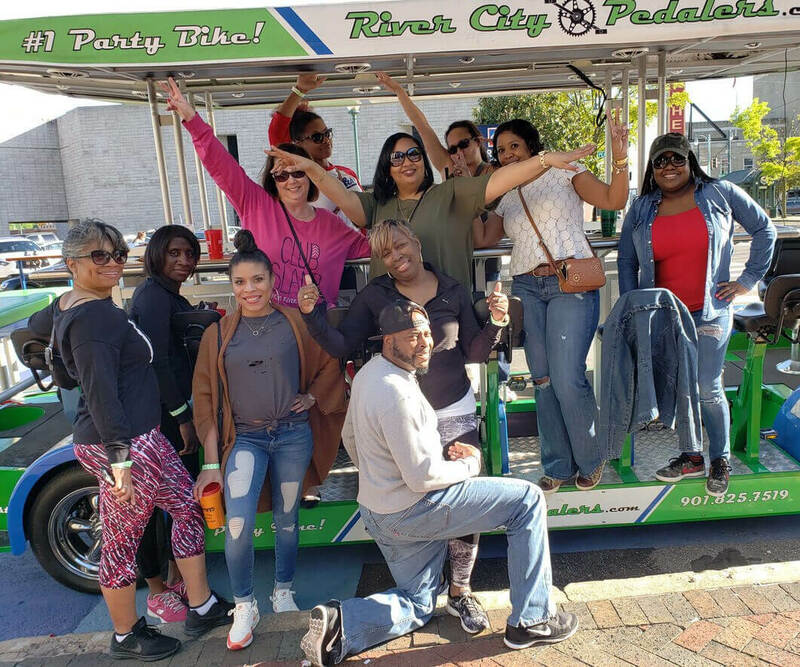 River City Pedalers, Inc. is a well-established and exciting touring attraction in the greater Memphis, Tennessee historic downtown area and is quickly becoming “The” activity for you and all your friends to try! 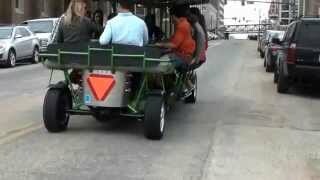 Stylish, comfortable, and fun, this multi-person pedal vehicle brings a whole new entertainment experience to the Downtown area. 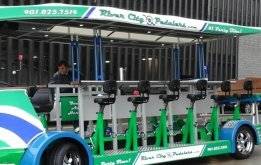 River City Pedalers, Inc. attraction touring Party Bike is a Motorized pedal-powered vehicle with seating for 16 passengers. Appealing to traveling enthusiast, professional corporations, students, adventurers, or anyone looking to just have a good time, the Party Bike is nonstop fun for all. The Party Bike tour is ideal for imaginative participants from all walks of life and is booked for everything from parties to group tours. Designed and manufactured by a professional fabrication company, the Party Bike combines top safety features, modern amusements, and thrills for all. Equipped with a sleek design, comfortable seats and shade, a premium sound system, eco-friendly battery power assist and LED party lights, this touring vehicle offers the mind-blowing experience long since lacking in the downtown area of the river city. 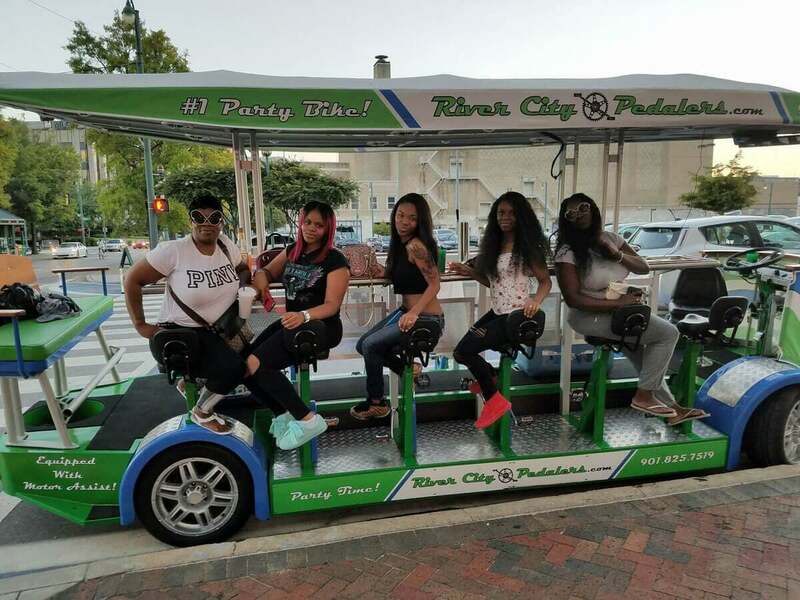 Obviously, the center of attention wherever it tours, the Party Bike not only offers safety and fun, it offers exposure and high visibility into the nightlife Memphis is famous for. 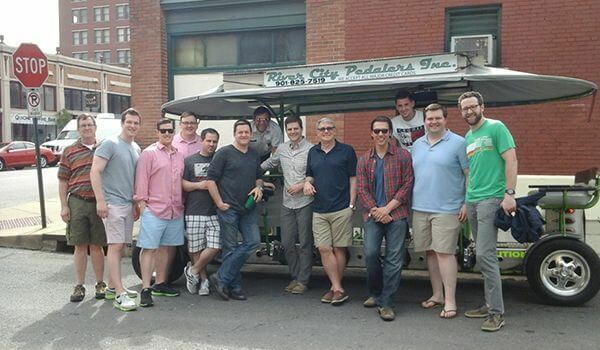 River City Pedalers, Inc. has been touring the downtown area since January 2015 and is a prominent local member of the Area Chamber of Commerce. 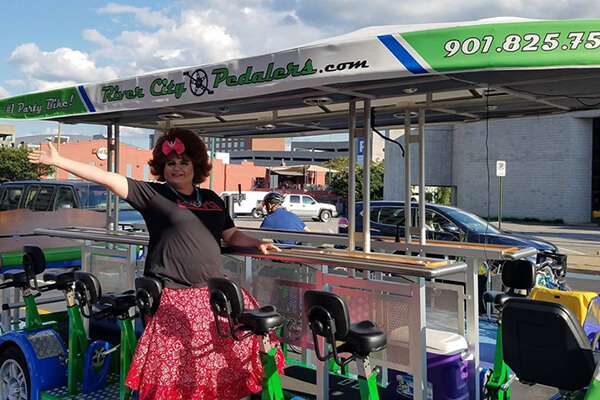 Some of River City Pedalers, Inc. most recent appearances include Memphis’s own Local 24 segment Local Biz, Channel 3 with Mary Beth Connelly on Live at Nine and, most notably, the hit television series "Fluffy Breaks Even" with comedy superstar Gabriel Iglesias and his friends. Don’t Delay, Book your next adventure with River City Pedalers, Inc. today, and see for yourself that The Original and unsurpassed touring Party Bike is simply the Best Downtown has to offer and is just call away.